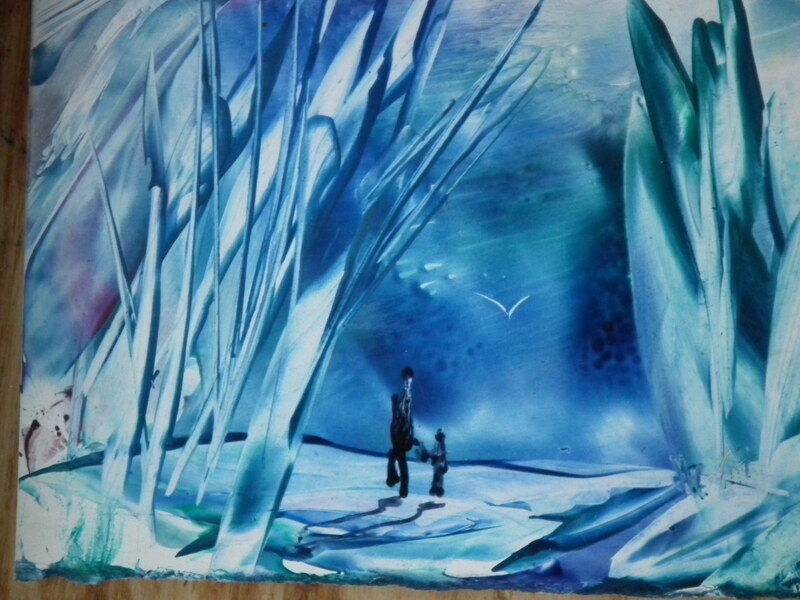 A few years ago I played with encaustic art with the popular kit …… small works with little blocks of wax and a craft iron and stylus, often doneon the paper made for the craft. This year, 2016, I discovered encaustic for real…. working on large boards with pots of melted encaustic medium (beeswax and resin or castor wax… I have even made my own medium), oil paint and other pigment, a blow torch and even enjoying setting fire to the work…..shellac burn. 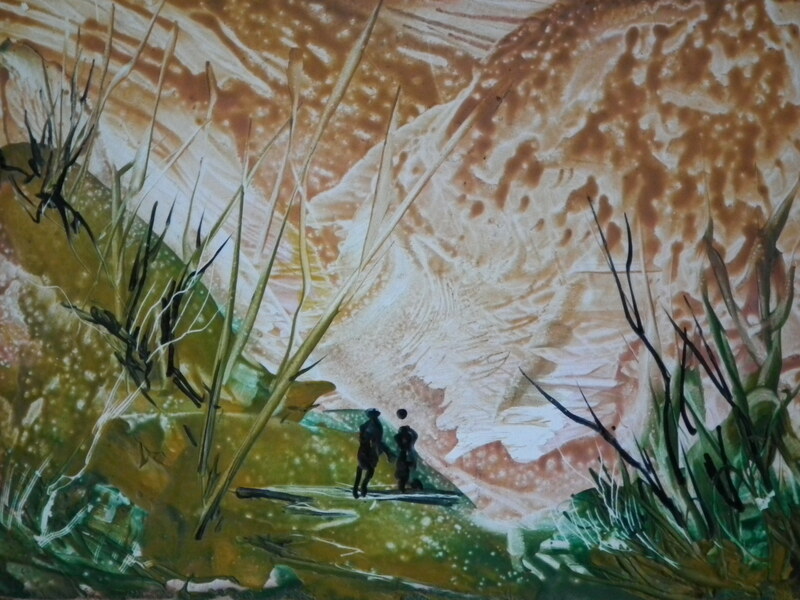 It is all so exciting this new world of encaustic painting with big pots of melted wax and broad soft brushes. 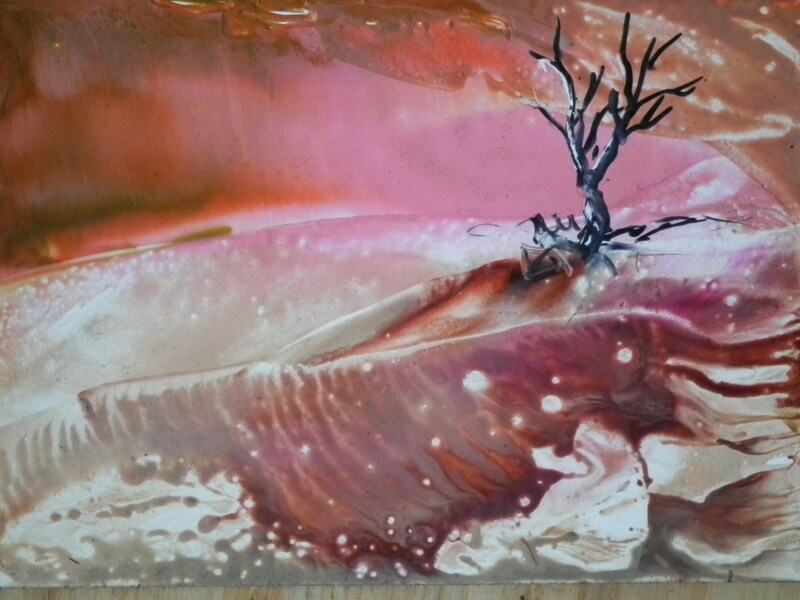 I have learnt about fusing layers of wax, embedding objects and photo transfer This is Encaustic for the artist rather than what I was doing….. a very limited craft type play. 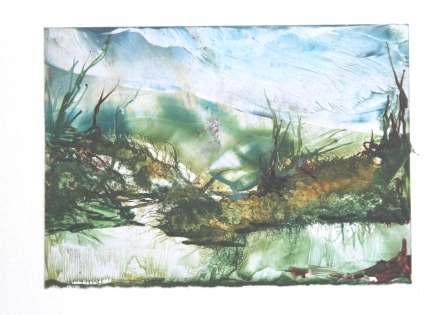 Below are my older works… encaustic play with the craft kit. 2012…I have moved on a little from the absolute basics…. 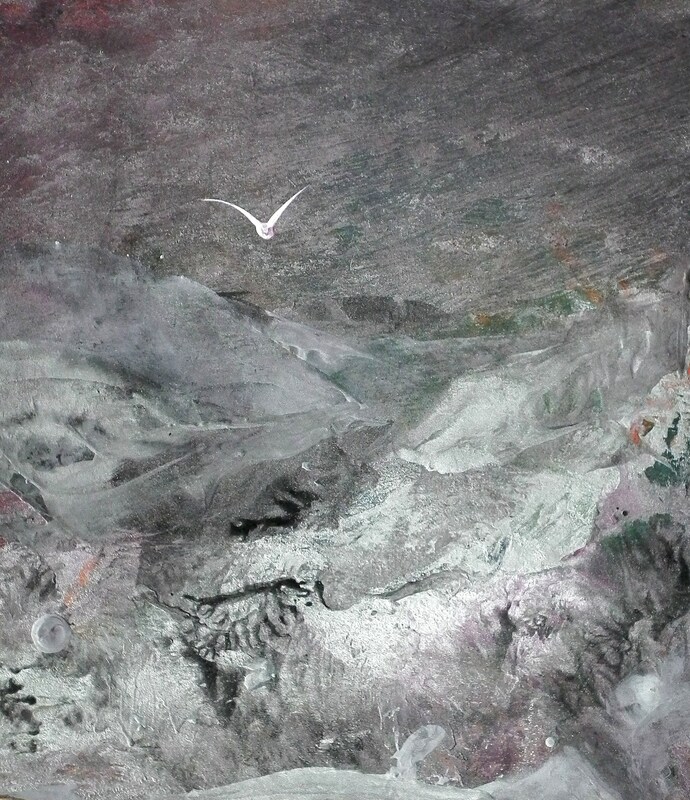 which I still enjoy… to mixed media with encatstic (wax). Still much more to try… more experiments… more painting evolutions. This is me… art play… and each creation is unique, that two way painting process I love. The hardest thing is deciding when to stop! 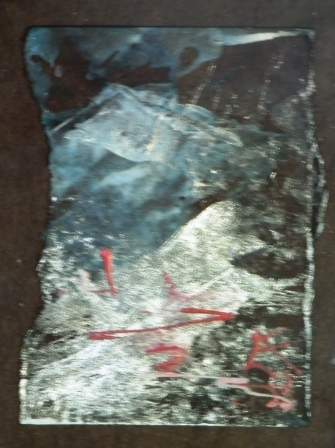 Old photos here Devone, but yes loving the direction of the encaustic painting. New camera photos are of Melbourne. I started looking at Sony mirrorless for lighter weight. Well, good in theory, but then I went for the full frame camera and better lenses with more glass…. result, a bit heavier than the Canon DSLR! lol. Plus side… photos are so sharp, 5 point image stabilisation in camera is good with older hands which are not so steady… I can’t be bothered setting up a tripod all the time as I am a very spontaneous photo shooter. Will show you when I see you, which hopefully will be in Queensland.